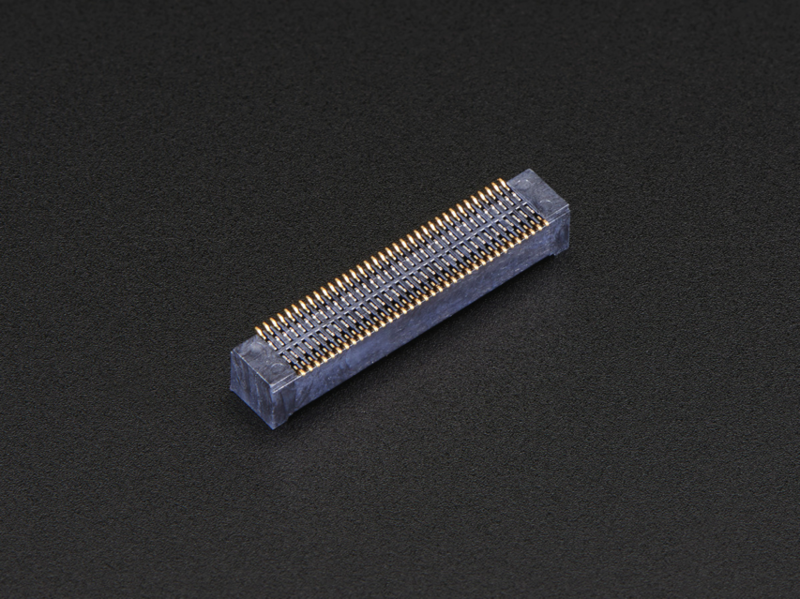 NEW PRODUCT – 70-pin Hirose Receptacle Header for Intel Edison – 3mm Height – Hirose DF40HC(3.0)-70DS « Adafruit Industries – Makers, hackers, artists, designers and engineers! 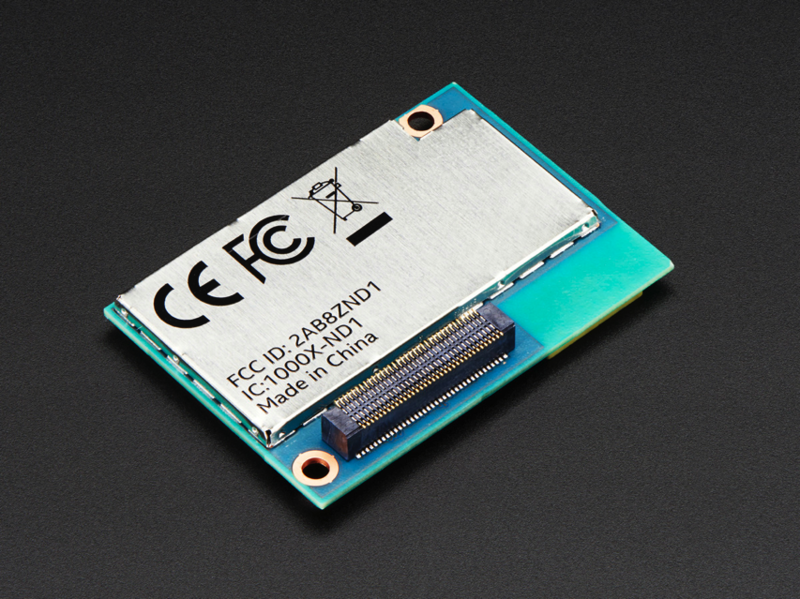 We’re big fans of the Intel® Edison Compute Module but the connector’s not generic like everyday header, and can be a bit difficult to find. No longer! 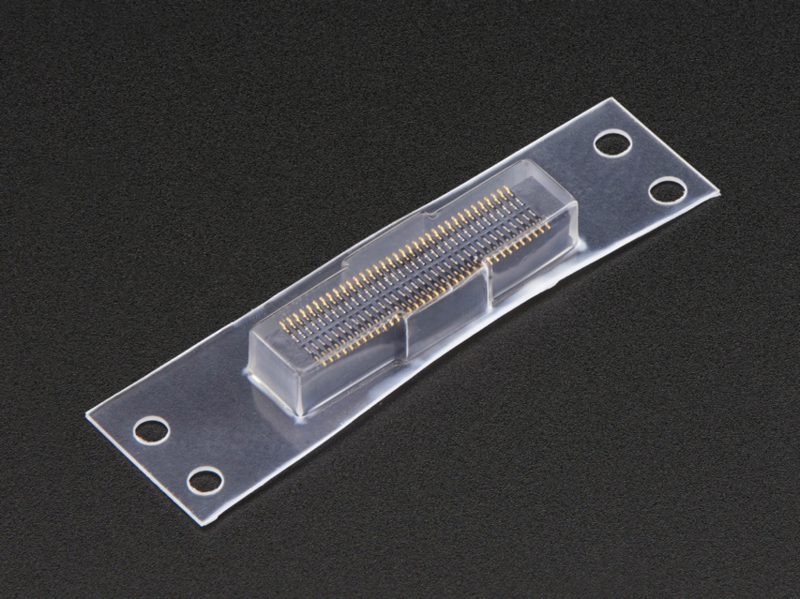 This 70-pin receptacle header for the Intel Edison connects to the Edison Compute Module and allows breakout boards to be added more easily. If you’re in the Edison block business, this is for you. It’s a tiny 70-pin connector that’s main function is with the Intel Edison. The connector is fine pitch and fragile, we’ve found it hard to get off once you add it to your Edison if it isn’t soldered down already, so be careful. Please also note, these are rated for only 30 connection cycles, use care and pull directly perpendicular to the connector plane to avoid bending or damaging it. Once added, it’ll add 3mm of height to your Edison boards socket – you can clear the metal can of the Edison and possibly even tuck a few thin components or chips underneath the Edison for a smaller PCB! One connector per order, the Intel Edison is not included.